As we say goodbye to the sun and celebrate the coming months, wishing for rain as the earth is pretty parched here at the moment, we wanted to share it with you by having a farewell to summer sale. 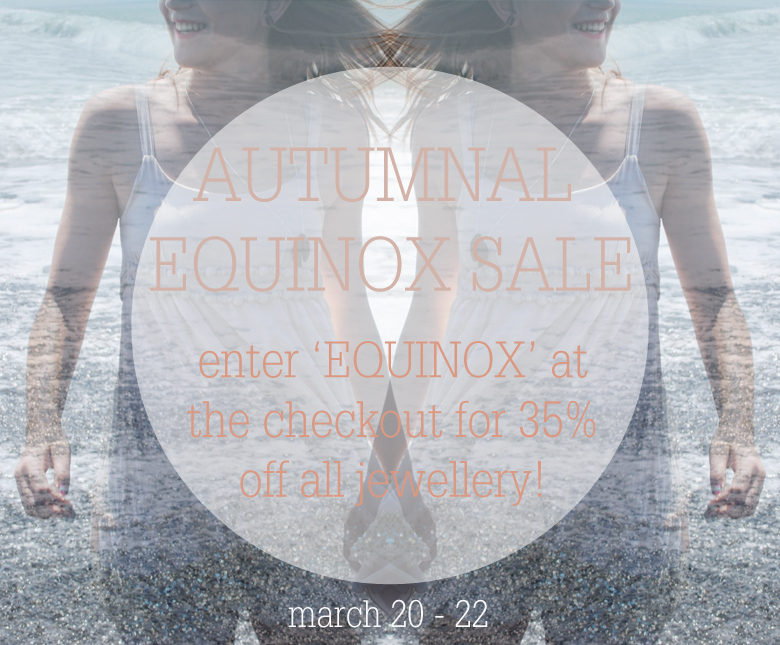 We're working on a small winter collection and so if you head over to the shop now you can enter 'EQUINOX' at the checkout for 35% off all jewellery. I love the feeling of a season change and I hope there is lots of good stuff in store for us all as the leaves fall, or flowers bloom depending on where you are. We're up in Auckland at the moment and I'm hoping to be enjoying one of these very soon.